Sometimes the best way to answer questions is with a sample. 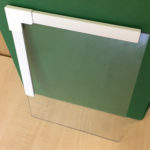 Getting your hands on a secondary glazing panel section will answer a LOT of questions. But first, we need to ask you a few. Please fill in the form below so that we make sure we send you the right sample to the right place. Note: fields marked with an asterix * are required fields!